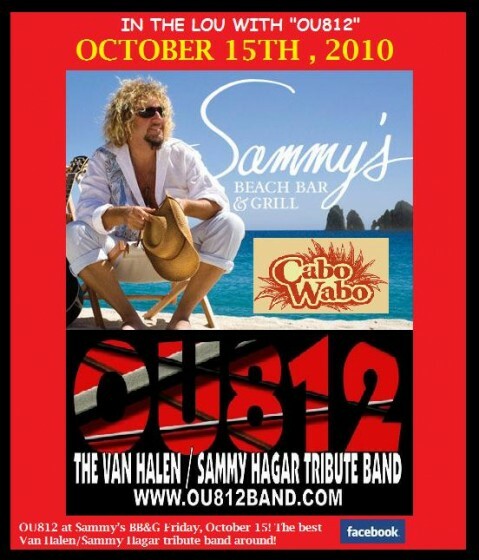 IN THE LOU WITH "OU812" October 15th 2010 ,Tribute To Sammy Hagar/ Van Halen...in ST. LOUIS!!!! 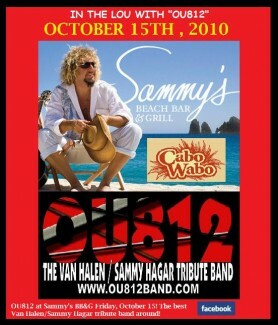 is coming to ST LOUIS, MISSOURI for our official Cabo Wabo bash concert!!!!! HARRAH'S CASINO in ST LOUIS!! bringing the Spirit Of Cabo everwhere we go! you get the best of both worlds!!!! so get ready St Louis...it's 5150 time!!!!!!!! See you at the party!!!!! !